This eye-opening documentary exposes Israel’s colonization policy and follows the timeline, size, population of the “settlements,” and their impact on the peace process. 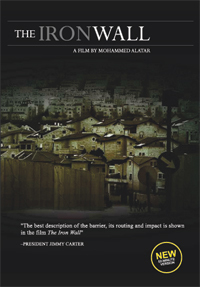 This film also touches on the latest project to make the settlements a permanent fact on the ground; the annexation Wall that Israel is building in the West Bank, and its impact on the Palestinian people. From that day on, these words became the official and unspoken policy of the Zionist movement and, later, the State of Israel. 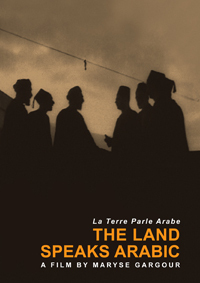 Colonies, often referred to as “settlements,” were used to solidify the Zionist foothold throughout historic Palestine. Following the 1967 occupation of the West Bank and Gaza, more than 200 settlements and outposts have been built in these territories, in violation of international law. The Iron Wall exposes this phenomenon and follows the timeline, size, and population of the settlements, reveals how their construction has been a cornerstone of Israeli policy, and demonstrates how the Wall secures them as permanent and irreversible facts on the ground. This documentary warns that a contiguous and viable Palestinian state is becoming no longer possible, and that the chances for a peaceful resolution of the conflict are slipping away. 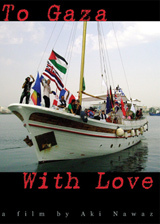 The Iron Wall features interviews with prominent Israeli and Palestinian peace activists and political analysts, including Jeff Halper, Akiva Eldar, Hind Khoury, and others. 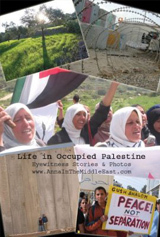 Also included are eye-opening interviews with Israeli settlers and soldiers, and Palestinian farmers. — Hillel Schenker, Co-Editor for Palestine-Israel Journal.